Four weeks to go, so it’s time to take stock. German photographer Wolfgang Tillmans lists ‘the mix of damp carpet and apricot-scented potpourri, Marmite and repressed but omnipresent sexuality’—but what am I going back to Blighty for? The great characteristic of cheese that Chesterton praises as ‘the very soul of song’ is its variety. Alas no, not in India. A country of cow-lovers obsessed with dairy products, and yet all we have is this strange rubbery stuff, like tofu in a cuboid condom. (Paneer doesn’t count.) Look at it. LOOK AT IT. Ugh. The brand name ‘Britannia’ is an anti-colonial insult too far. 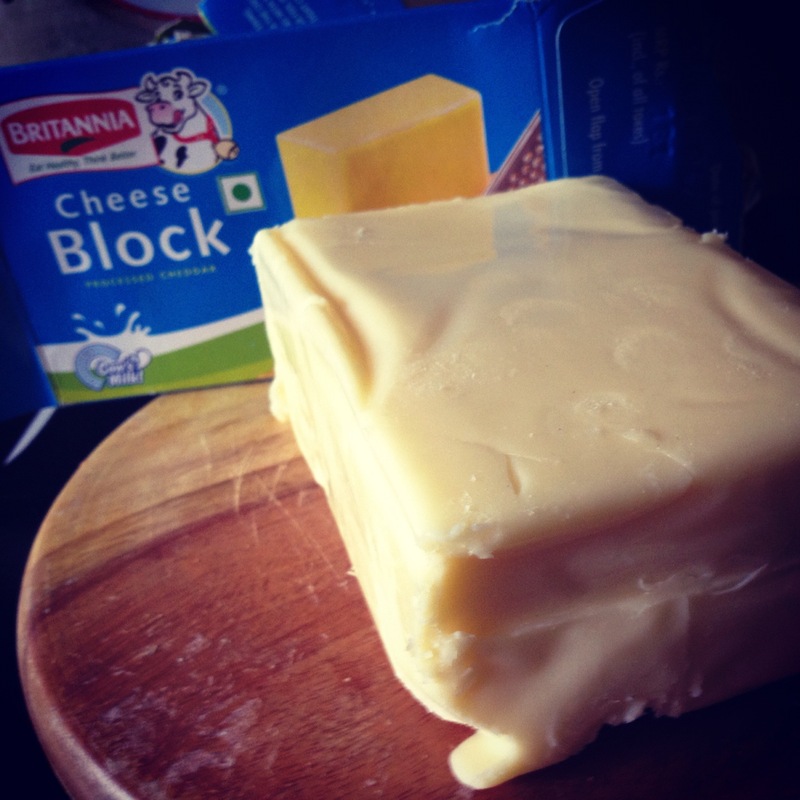 Unfortunately, the fact I’ve started whingeing about cheese confirms that I am now officially an Expat Douchebag. Nothing, nothing, raises the hackles of a Britisher more than the social evil that is queue jumping. We know intrinsically that the inability of foreigners to queue—this goes for you too, Europeans—is the sign of deep, warped immorality and lack of self-control. The queue is civilisation. Remember that at the Olympics: every time you queue-jump, you confirm to the tutting Britisher behind: fine, your country might win more medals than us, but corruption, the Grexit, and STDs are endemic there too because you’re freeloading, sociopathic scum. Being British, for a long time I was unable to do more than glare, mutter, and paranoiacally dance around trying to block jumpers like a Morris-dancing schizophrenic. But airport queue jumpers be warned: I have been pushed to the very brink, and may actually shake off my English inhibitions and punch you in the gob. Yes, our rain is feeble and our summer hilariously cool, but this is not a bad thing, Mr Bryson. Having a lot of weather is quite horrible, I’m starting to suspect. Here all people can look forward to as a break from the 45°C heat is dust, smog, or the monsoon, which from past experience is a disgusting time of trenchfoot, Chikungunya, and exuberant geysers of sewage. Plus I lived through a 5.2-magnitude earthquake!—though admittedly I didn’t notice because we live on a giant flight path. A tepid sun, some good wholesome drizzle, and the common cold sound blimming fantastic right about now. Britain is a fizzing blend of people, cuisines, and cultures, but here people automatically assume that Indian = brown. Albion has more than its fair share of xenophobic cretins, but the Indian obsessions with skin colour, good breeding, Islamophobia, and women’s behaviour still rankle. Racism towards migrants from Nepal, sub-Saharan Africa, and India’s own Northeast is overt [h/t Sneha]. Pottering around India, I feel much like lovely Mr Moran. I’ve encountered a crocodile, cobras (twice), a convicted stalker, and facially-tattooed headhunters with a nice line in skull trophies, homemade guns, and opium. In Delhi people are regularly attacked by monkeys; in Sikkim they warned us about black bears; in the east it’s wild elephants, bull sharks, and occasional tigers. Even everyday life is dangerous: I’m recovering from falling into a pothole, praying the wound doesn’t go gangrenous like last time (shudder); a friend walked straight into an open sewer on her first day; and Jeremy Clarkson says 190,000 people a year die on Indian roads, more than Oxford’s entire population. Terrifying. In Britain, by contrast, the most dangerous thing is the lesser spotted office stapler. 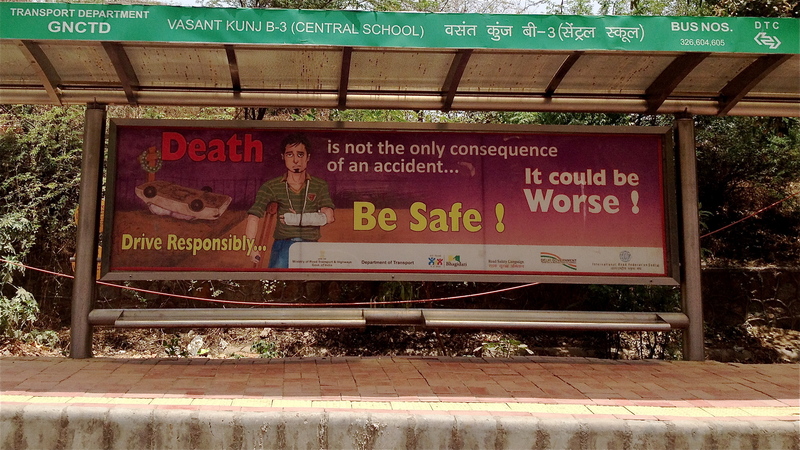 When India does do health and safety, it revolves obsessively yet ineffectually around terrorism. For the lonely fieldworker the ubiquitous security caress is a rare moment of human intimacy. But it’s slow and awkward and unaccountable too—I still don’t understand why the Taj Mahal guards confiscated Feckless Brother’s playing cards, of all weapons of mass destruction. I prefer the motherland’s own slow, awkward, unaccountable procedures, which at least are colour-coded—though why you guys have allowed them to instal missiles on your houses I have no idea.